Violence Against Journalists Reached 'Unprecedented Levels' In 2018, Report Finds Every year, Reporters Without Borders investigates how many journalists were killed, imprisoned or held hostage. In 2018, the group saw an increase in every category. Journalists light candles in Siliguri, India, on May 3, during a vigil for Afghan journalists who were killed in a targeted suicide bombing in Kabul on April 30. More journalists were killed, imprisoned and held hostage in 2018 than the year before, according to the latest annual report from Reporters Without Borders. In the first 11 months of the year, 348 journalists were detained and 60 were held hostage, the organization found. Eighty were killed. Reporters Without Borders — known as RSF, for its French name, Reporters Sans Frontieres — released the report on Tuesday. RSF Secretary-General Christophe Deloire said the violence against journalists "has reached unprecedented levels," calling the situation "critical." "The hatred of journalists that is voiced, and sometimes very openly proclaimed, by unscrupulous politicians, religious leaders and businessmen has tragic consequences on the ground, and has been reflected in this disturbing increase in violations against journalists," he wrote. 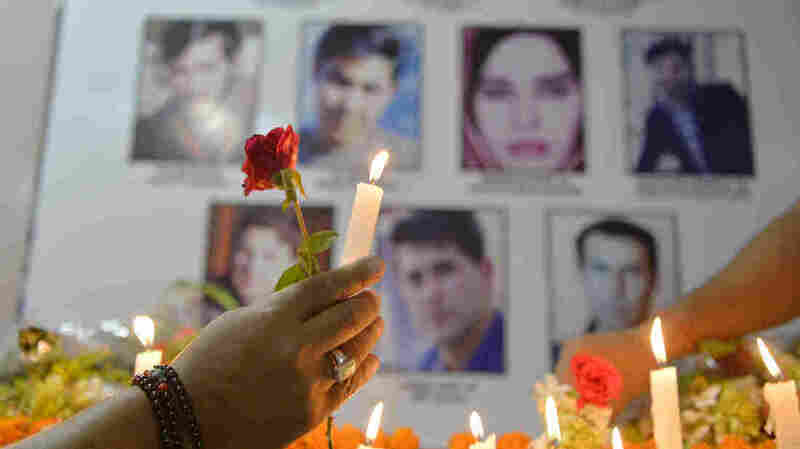 Afghanistan was the deadliest country for journalists; 15 media workers were killed in violent attacks. Nine died in one attack in Kabul on April 30, a double bombing that killed dozens of people and deliberately targeted journalists. Photojournalist Shah Marai was among the casualties of that attack. Eleven journalists were killed in Syria — mostly nonprofessional journalists, who, as RSF notes, "play a fundamental role in the production of news and information in countries with oppressive regimes and countries at war." Eight journalists were killed in Yemen, and nine were murdered in Mexico, which has long been considered one of the most dangerous countries for journalists to work. The majority of the journalists killed were deliberately targeted because their work threatened powerful interests. Others were killed while they were working in the field. Saudi journalist Jamal Khashoggi, who was killed at the Saudi consulate in Istanbul in October, was among the journalists targeted for their work. Many U.S. officials believe that Saudi Arabia's crown prince, Mohammed bin Salman, was behind Khashoggi's death. Ján Kuciak of Slovakia, a 27-year-old who was killed in his home in February along with his fiancée, Martina Kusnirova, was believed to be targeted for his work exposing the crimes of the Calabrian mafia in Slovakia. In the United States, four journalists and another staffer were killed because of their work when a gunman attacked the Capital Gazette newsroom in Annapolis, Md. Two other journalists died on the job when they were killed by a falling tree while covering a storm in North Carolina in May. RSF counts only those deaths that it has investigated and confirmed "with a great deal of confidence" were tied to a journalist's work. Ten other journalists' deaths in 2018 were not included in the total, because they are still under investigation. Nearly 350 journalists were being held in prison at the start of December, with more than half of them detained in just five countries: China, Iran, Saudi Arabia, Turkey and Egypt. In China and Iran, most of those detained are citizen journalists who, faced with a regime that suppresses freedom of the press, attempted to share information online — often through social media. Journalists detained for their work include Reuters journalists Kyaw Soe Oo and Wa Lone, who investigated a massacre of Rohingya men in Myanmar, were charged with violating the country's Official Secrets Act and have been sentenced to seven years in prison. Another 60 journalists are currently being held hostage by non-state actors, RSF says; the vast majority are in the Middle East.